An all-ceramic dental implant in conjunction with an all-ceramic dental crown has the look and functionality of your natural teeth. These metal-free, Zirconium ceramic dental implants are more biocompatible, they look better, and function just as well if not better than the more traditional Titanium metal implants. In recent years, more and more people are finding that they are having negative reactions to their Titanium metal dental implants. 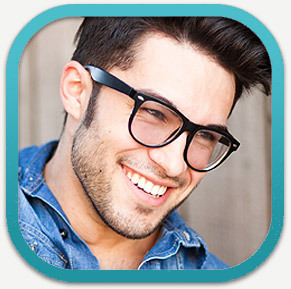 For this reason, Dr. Heidari here in Palo Alto and Menlo Park is now offering metal-free dental implants made of high-performance Zirconium ceramic which are suitable for patients with metal allergies and the chronic diseases resulting from them. Much less plaque forms on ceramics than on Titanium, which reduces the risk of peri-implantitis or even cardiovascular diseases and stroke. Your bone and gingiva (gums) attach much better to ceramics and they look better. With this white material, no gray ring or shadows are visible even with thin or receding gums. 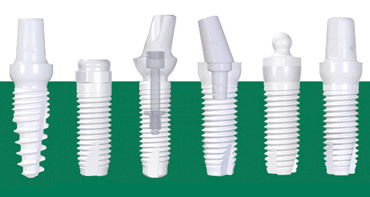 Ceramic dental implants have a natural resistance to dental plaque, which in turn supports the health of your gums. Ceramics are extremely biocompatible and do not irritate the immune system. There are no known incompatibilities or allergies to this material. Ceramic implants are harder, have higher resistance to temperature changes are more resistant to corrosion than metal implants. Here at Serenity Dental Palo Alto, we don’t just look at your teeth, but rather your overall health and well-being, says Dr. Heidari. Ceramic dental implants are a proven holistic option over their metal counterparts and we believe for many of our patients, these will be procedure of choice for replacing their missing teeth. If you are missing one or more of your teeth and are hesitant about having metal dental implants, then we have the solution for you. Contact us today at 650.327.7525 or send us an email at Appt@PaloAltoDentistry.com to find our more about our metal-free ceramic dental implants and let’s discuss if this is the right option to get you smiling and chewing again. 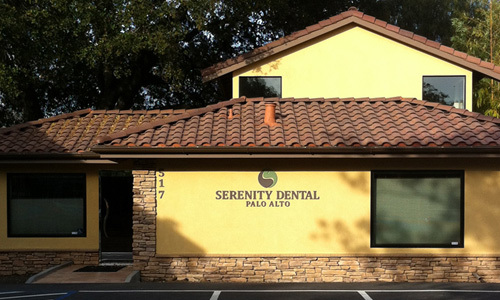 If you are in or around San Jose, Los Gatos, Santa Clara please visit our San Jose ceramic dental implant page or call our office at 408.999.0444. We’re happy to answer any of your questions. We also offer dental implants in Aptos, Santa Cruz, Capitola and Soquel. Please visit our Aptos dental implant page or call our office there at 831.688.6531 for more information.